Made of MDF. The unique mounting method enables you to install the shelf very easily and no screws, connectors, or tracks are visible. These rounded corner wall cube shelves add a modern element to your space and are easily customized, combining with other pieces. They can hang on the wall, stack on a table or floor, can be used for storage, basically any way you want and any size you like. 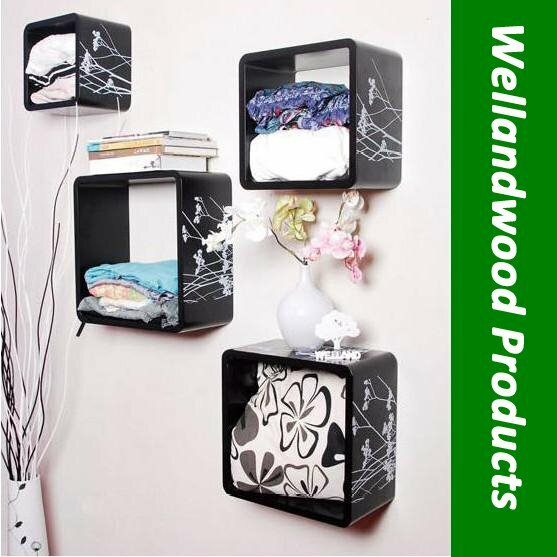 Unbelievable price on Wood Wall Cube Shelves Set in Shanghai (China) company Wellandwood Co., Ltd.